Yoga is an ‘art of living’ which has successfully transformed many lives. Yoga is more than the asanas and breathing techniques. It gives you a new perspective on life and re-establishes your connection with inner-self. Many people have surrendered themselves to the addiction of yoga. In the pursuit of exploring deeper layers of yoga, people are taking resort to Yoga Teachers Training in India. After all, what better place to learn nuances of yoga, than its origin! 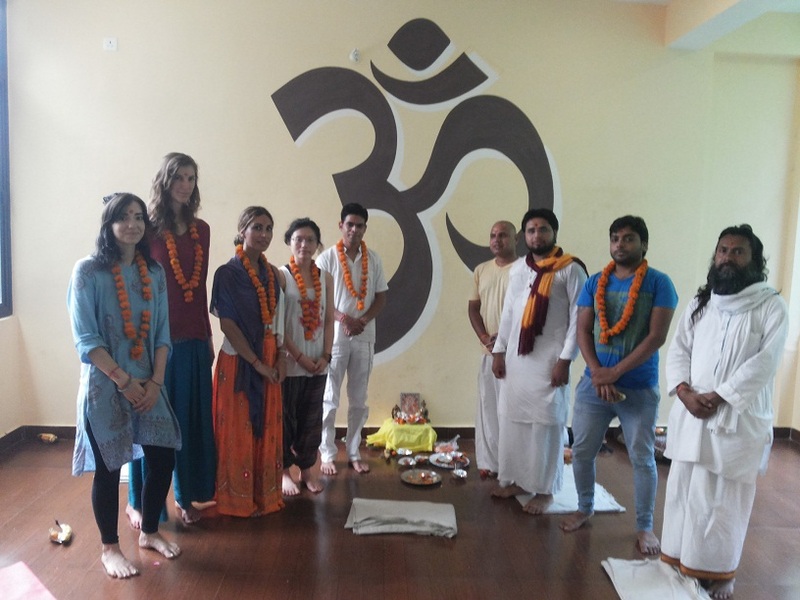 IndianYogshala is a premier Yoga Teachers Training Institute which is located in Rishikesh- the divine piece of earth. IndianYogshala strives to offer the best training program with a thoroughly designed curriculum. The foundation of the institute lies on a strong research base made by our honourable team members who are well acquainted with nuances of yoga. Their wisdom of knowledge is the driving force behind the IndianYogshala. IndianYogshala aims at imparting quality training and emphasizes on spreading the knowledge to as many people as possible. The one, who tastes the goodness of yoga, will vouch for its benefits for a lifetime! Yoga is best practiced amidst natural surroundings and we offer a comfortable stay to our students wherein they can connect themselves with the beauty of nature. The picturesque surroundings and tranquillity of environment rejuvenates the senses and offers relaxation to mind. Away from the hustle and bustle of the city, you get an opportunity to value deeper aspects of life. The digital detox reminds us the priorities of life. The natural accommodation like Ashrams turns up yoga in its natural and raw form. The experience can never be felt while staying in a Hotel or guest house. While staying in Ashram for Yoga Teachers Training in India, the students can get acquainted with the Indian values, its rich culture, and the spirituality. One of the most important pillars of IndianYogshala is its Yoga Gurus. They are your friend, philosopher and guide for the next few days. IndianYogshala does not identify itself as an institution but family! And, the family is going to adopt the values, what guardian drives with. The experienced yoga gurus offer special attention to each student and help in perfecting each asana and techniques. Our patient and friendly tutors are available throughout your training course for solving your queries. Rishikesh, located in the foothills of the Himalaya in the Northern part of India, is known as the land of Rishi Munis. Rishikesh is considered as a holy city and it witnesses several pilgrims, travellers, and tourists each year from within India. It is also known for being completely vegetarian and alcohol-free city. Rishikesh has emerged as one of the most popular destinations for Yoga Teachers Training in India. Located in Uttrakhand, just 24 km away from Haridwar, the main attractions of Rishikesh are Ram Jhula, Lakshman jhula and Swarga Ashram. It is also one of the places where nature collides with adventure. It is the most sought-after place for river rafting by adventure enthusiasts. Rishikesh also offers the option of hiking in the Himalayan range. The Rajaji wild-life sanctuary is yet another attraction for people visiting Rishikesh. It is also considered as the entry point of three pilgrims namely Badrinath-Kedarnath, Gangotri and Yamunotri, the four great places which constitute Chardham. Triveni Ghat is one of the most revered places of Rishikesh where people witness Maha Aarti every morning and evening. The serene surroundings and pilgrims offering prayers and taking a dip in the holy Ganges is a sight to behold. Today, yoga has been accepted as a great alternative therapy. Enrolling in a Yoga Teachers Training in Rishikesh is like learning the ‘art of healing’ in the lap of nature. One of the main attractions of Rishikesh is the holy river Ganges. The Ganges flows through Rishikesh leaving the Shivalik hills and flowing through plains of Northern India. There are several ancient temples built along the bank of Ganges. Along with the natural accommodation, we have an in-house cook who prepares satvik food for our students. Satvik diet has a lot of reverence in Ayurveda and Yoga literature as it contains satva quality i.e. guna. Satvik diet emphasizes on seasonal foods, dairy items, seeds, nuts, fruits, ripe vegetables, legumes and whole grains. Satvik diet is considered the best for physical strength, good health, healthy mind, and longevity. It prevents fatigue and enhances peace of mind. The food is digested easily and makes you feel lighter all day long. Thus, it is the best diet while taking YTT course from IndianYogshala. We have a team of best tutors who have years of experience in Yoga and Ayurveda. They strive to share their wisdom of knowledge with students and train them into excellent teachers. During the tenure of the course, you can always take resort to our gurus for any query or doubts. We at IndianYogshala emphasize on giving personal attention to each student and help them in overcoming their weakness. The tutors go an extra mile for students who face difficulty in excelling any asana or technique. There is absolutely no pressure from the tutors and each student is respected for their own abilities and limitations. There are special doubt classes for students who lag behind in any aspect of the training. Your association with IndianYogshala doesn’t end with the completion of yoga alliance certified yoga teachers training. Our Gurus foster a life-long relationship with their students wherein they are available for any kind of help or query even after you have been certified as a Yoga Teacher. Our Yoga Teachers Training course is affordable and does not pinch your pocket. There are institutes which charge a bomb for the training but we at IndianYogshala aim at offering best training at a reasonable price for everyone. How important is Yoga Alliance Certification? 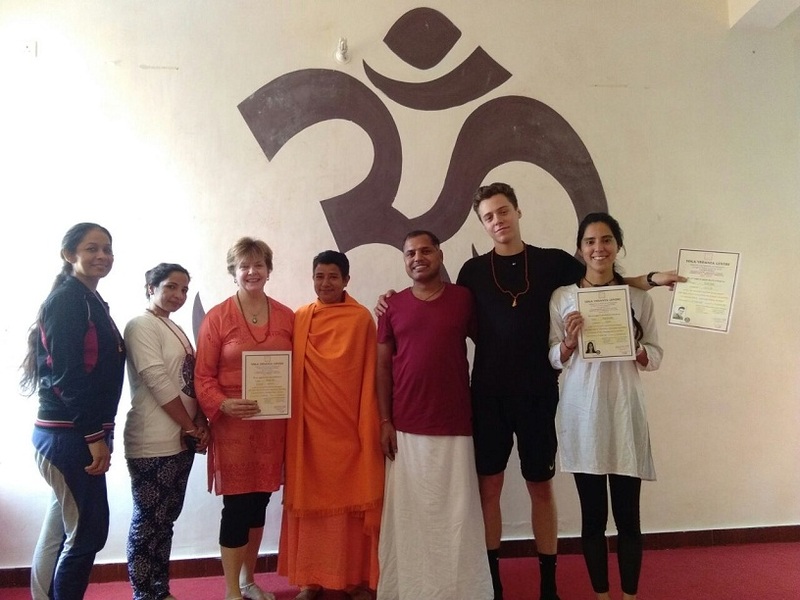 Once you have completed the 200-hour Yoga Teachers Training in Rishikesh, you are conferred the Yoga Alliance Certification which makes you a certified Yoga tutor. ‘Yoga Alliance’ is a U.S. based non-profit membership association for yoga teachers. It is headquartered in Virginia. Yoga Alliance offers the title of ‘Registered yoga teacher’ to students who have received standard yoga teachers training from a registered yoga school. The certification is offered at 200, 300, and 500-hour levels. Our Yoga Gurus are Gopal Sharma, Swami Santatmananda Saraswati, Dr. Ashish, Dr. M.L Maurya, and Swamini Pramananda Saraswati (Guest Faculty). A family will adopt values and culture, what the guardian drives with. The meaning is very simple. IndianYogshala is not designed as institution, it is established as a family. And this family have been driving by Swami Gopal Sharma. The name Swami Gopal Sharma is a reserve of yoga. His learning in this field started when he was just 12 years old boy. His interest in the Indian Yoga and other devout areas took him away from a common man image and he has devoted himself to get the perfection in yoga shastra.